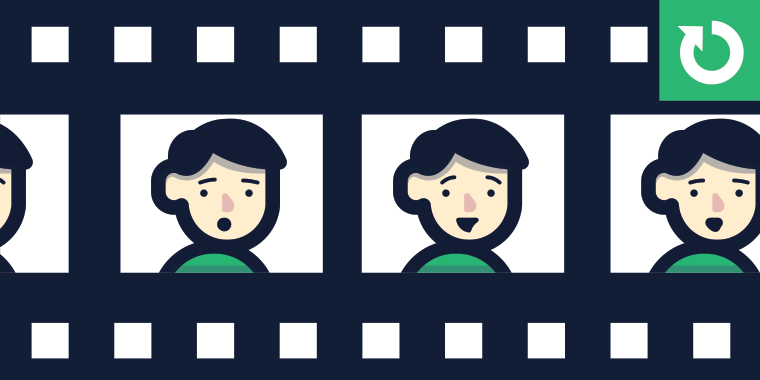 Whether you prefer skeuomorphism or flat designs, there’s no denying that classroom- and education-themed templates are some of the most popular design styles in e-learning. And since August is the month when most kids head back to school, I thought it would be fun to shift our focus from corporate e-learning to childhood education. In one of our early challenges, we looked at desktop and office theme designs. In that challenge, the examples were designed around corporate office environments. The same design process, layouts, and interactions can be easily themed for education. And that’s what this week’s challenge is all about! I probably sound like a one-track song sometimes, but slide backgrounds really are one of the easiest ways to set the visual voice and tone for your designs. Not only are backgrounds the largest slide element, they really help create a sense of place for your content. One of the easiest ways to tackle this week’s design challenge is to take an existing template from our downloads and give it an academic makeover. 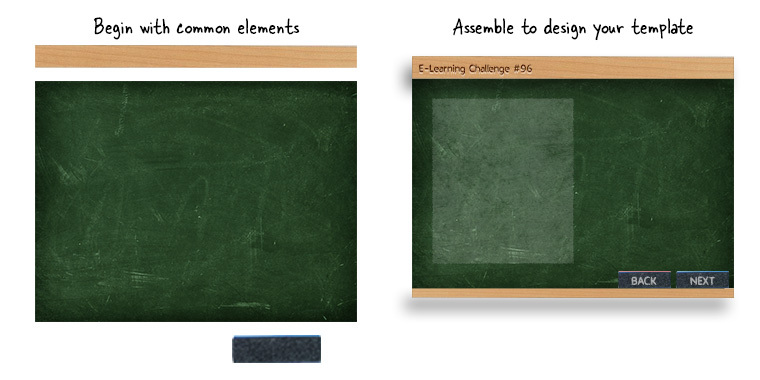 This week, your challenge is to design an education-themed template or interaction. You can focus on any type of academic environment you like. You should try to include at least three different content slides. Your slides can be static or built out as working activities and interactions. Show us how you would carry your design ideas across a real-world project. 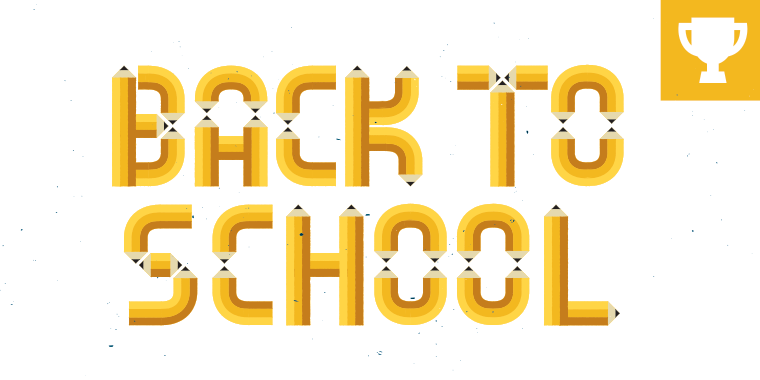 There’s no shortage of chalkboard and education templates to help you get started this week. Wishing you an inspired week, E-Learning Heroes! That's a cool pencil design on the title image David! Isn't that awesome? Our superstar designer Greg (https://dribbble.com/gregchristman) deserves all the credit! Yes! Like Alex, I love Greg's design too. This'll be another fun one. I'll bet Ellie's already working on hers! I think this might be my first time being first LOL http://bit.ly/1I1oXxp Everyone have an awesome weekend! Cool designs, Alex! I really liked the notecard pop up. Nice job, Alex! I especially like how you make the locker door open... Very realistic! I loved it, even though it reminded me of my recurring I-forgot-my-locker-combination nightmares! You're so quick this week Alex! I love the lockers and the way you opened it. The sound of the bell brought back memories. Great Alexander, Bang! on target. Thank you folks, the feedback is deeply appreciated, I'll be sharing the files and workflow a bit later on a post. Alex, that is a really awesome concept! Great job! Good job Jackie, I really like the combination of layouts! Kid-u-cational is right! Nice job making over your previous template! That's really schweet Jackie. Love the graphics, fonts and overall style. Glad you like it, Kartik! As with most challenge entries, it's a quick demo. I've shared my source file (you're welcome!) so you can customize it any way you'd like. Another winner, Jackie! You always come up with something fresh and engaging. Where do you get all of that creativity?! Thanks for generously sharing the template too! Nice Jackie, I forgot all about the science fair! Thank you, Richard! I have a friend who went to see Mr. Dolby in recent memory. Did not know he was still out there blinding them with science. Jackie, I love the clean design you use in your demos, thank you for sharing the template! My entry for this week: http://srmlt.in/elearn/Classroom%20-%20Storyline%20output/story.html I just kept it simple. Nice use of font and graphics. Thanks, Alexander. Glad you tested its functionality. Love the chalkboard font & graphics, Mushtaq! I like the way you made the logos fit into your theme Mushtaq. Thanks, Linda. Glad to know you liked the logos. Thank you, Richard, for your appreciation. Thank you, Jackie, for your kind words. Yes, you got it right its the artistic effects in PowerPoint. Hi Amar, This is a nice designe, but there are some mistakes in it, also with some functionality issues. Hi amar, Greeting of the day. The main functionality error which I found is related to attempting your quiz or maybe you created it this way, but I think you need to bound your user to attempt a question only one time. Right now whats happening is, a user can drag other option to the drop target if they drag wrong option first time. According to me you need to disable all the other options after user drag and drop an option, so that they'll not able to drag other option over it. And appear the next question button just after user attempt the question. I like your technique of letting the learner try other options--it's a great learning tool! I like the way you set up the quiz Amar, very effective. Hi Amar! I like this very much! 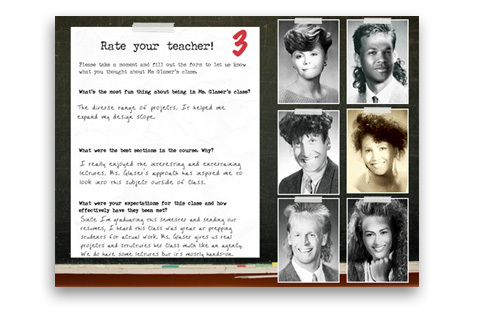 Using a quiz-like interaction as a teaching tool is always a great idea. It definitely engaged me! Graphics, animations, theming - all spot-on. I can think of a couple of other challenges where you could post it too, if you're interested: Custom drag & drop interactions: https://community.articulate.com/articles/custom-drag-drop-elearning-interactions Beyond the basic drag & drop: https://community.articulate.com/articles/beyond-drag-drop-elearning Great job! Amar, I love this! It looks and works fantastic, and you can tell you put a lot of effort into it, great work! Thanks a lot Alexander Salas for your appreciation. Great mastery of layers Anne, I really liked the navigation feel. Thanks for your feedback, Alex! Hey Anne, I liked your icons. They reminded me of an Apple computer. Great Job, Anne! I agree with Alex, it feels easy to navigate and is clean. Hi Anne! For some reason I'm getting a 500 error when I try the link. Hi, everyone! Today I’m doing something a little wild and crazy—I’m participating in my first challenge here in the community! I’ve been an instructional designer for 9 years, using Articulate Storyline for almost 3 years and have spent many hours in the E-Learning Heroes Community, usually as reader/stalker. But today, I decided to throw my stalkerish ways to out the window to have a little fun with everyone. https://db.tt/qpFru7aH When I thought about back to school, my thoughts immediately went to the subjects of math and science. More specifically, I thought of flash cards and math problems as students try to refine their rusty math skills after a long break. My concept addresses this type of skill practice in a fun, engaging way by inviting the student to Save the Mission. The student is present with a challenge and through each correct response, moves one step closer to a successful rocket launch. I built it with only two practice problems, but it can easily be adapted to add more. Check it out for yourself and see if you can save the day using your stellar math skills (the math is easy, I promise!). I also want to throw a big thank you out to David and Montse for organizing and bringing together the Phoenix Articulate Users Group (which is super fun for those of you PHX locals!) and for encouraging me to participate in the challenge! Love this! Great job and welcome! No issues on my end with Chrome but, interesting. Welcome to the challenges Toni, this is a beautiful sample and a great concept for kids. I'm glad that you've joined us Toni. I love the graphics you've used as well as the transitions and animations. There's an old challenge about teaching math concepts, you should enter this there as well. That's amazing project, Toni. Great design and very nice concept. Welcome to the challenges :) Looking forward to your next submissions. Wow! Transitions, animations, math and saving a space station! I'm inspired, very cool. Total Awesomeness! You could do the answer selection in multiple ways, e.g. Drag-and-drop, slider based. Well done! Welcome to the challenges Toni! Amazing job on animations! Welcome Toni, that looks so beautiful, flatilicious! Very cute, and it just about taxed the limits of my mathematical abilities! Great job! Looks great Linda! I like the colours and the different layouts you provided, great effort! I love the look and feel of this! Great job! Hey Linda, as always, beautifully designed and great use of the palette. One quick note, in my experience the hover area on the Topic 2 button extends below the button, the end result is the button changes state when you hover below it while the other buttons don't display the same behavior. Hey Alex, I made this quick and dirty to show the functionality to include submenus, which is why I only showed it on the one button. It could be carried over to all buttons if desired. Ah I'm sorry, I knew that part already. I just assumed the design was to show the menus when you hover over the button, not below it. Okay, I see what you're saying now. I had to use a hotspot below because when you hovered over the topic 2 button the subtopics would show, but if you tried to click on them they would disappear as soon as you moved off from the topic 2 button. David can you please update the links for this one? Thanks! Super! Colorful. Your color scheme ensure readability, cohesiveness and beauty. I like it, Richard. Very useful and practical tips placed on a nice template. Nice, clean design with real world applications! I like how you made a template for teachers to welcome students and families to class to go with this challenge's theme. Super cool Richard! This is a great concept for a mobile app. Richard, I liked the bright colours you used and the design. This is great Richard! I really like the large picture with the large, easy to click voice balloons. The more I view my courses on smaller mobile devices the more I realize that buttons need to be pretty big for fat fingers! That's a creative bus game, Avinash. Great job! Thanks Joanna Kurpiewska ...appreciation means lot for me. This looks great! Good idea! Thanks Stacy Swan ...appreciation means lot for me. Hey Avinash nice job.... like the concept. Hi Avinash This is very creative good job. One of my fav interactions in e-learning: Drag n' Drop babeh! Great job Avinash. Beautiful engaging game Avinash. I love the graphics and the animation. Avinash, what a really awesome spelling game! I think my grandson would love this! At first I thought the bus took too long to get to each stop, but then realized it was just right. It makes it feel like there is actually some distance the bus has to go. Good job! Yogesh welcome to the challenges! nicely done! especially the result slide, you get a diploma, what a good idea! Hi Cecilia thanks for the appreciation. Nice course Yogesh. As Cecilia said, the diploma is a great addition. Thank you Linda. Yes Linda It's remembered us our childhood school time. Hi David, First of all i'm thankful to you and all the other heroes for such amazing and mind blowing ideas for creating dynamic and interactive eLearning courses, and here is my entry for this weeks challenge: https://www.googledrive.com/host/0B84hzE4jPs3FfmIzaUhQUEpONnN6V2xianp1Y1BpZmZHQ1lld1k5ZlJCVXgtRzZwek5vRkU Feedbacks awaited as always. Those animated buttons are really cool, Kartik! We did a buttons challenge a while back: https://community.articulate.com/articles/creative-button-styles-effects-elearning You should also add your buttons to that challenge. hey david, Thanks for feedback, and I've added the buttons demo to the challenge which you suggested. Hi Kartik That's very creative. Great job! Hey linda thanx for your feedback, and I was thinking the same while creating it. Kartik very cool design and effective layout. You brought up some childhood math trauma for me LOL! I have one suggestion (if you were to use this quiz in real life) the feedback answer should say "91 is not a prime number because it has more than two factors i.e. 1, 7, 13, 91" I didn't get the "divisible by 7.5" answer but, I'm willing to "re-learn". thanks for the feedback Alexander, I'll keep your suggestion in mind while using this quiz in real life. Thanks a lot for your time and appreciation. Excellent! I really liked the feedback that appers on the board after each quiz attempt. Hi Everyone! Here is my challenge for this week: http://www.stacyswan.net/articulate/uspresidents/story.html I've kept it very simple and used the chalkboard theme. Can't wait to see what everyone has come up with. So far the entries are fantastic. I have a lot to learn! Hey stacy, Template and font selection is good. Liked the arrange quiz. Thank you, Anne! I completely forgot to give myself credit! I will remember to do so on future projects! Stacy, I really like your course. The fonts and animations were good and the info was interesting. Awesome design and navigation layout Stacy, I love it. If I may, I would love to suggest dropping a background image of Mount Rushmore either as the intro or the end slide to make it awesomazing! I look forward to see more of your designs. Very good Template and good Idea for the creative activity. I love the magnifying glass idea! 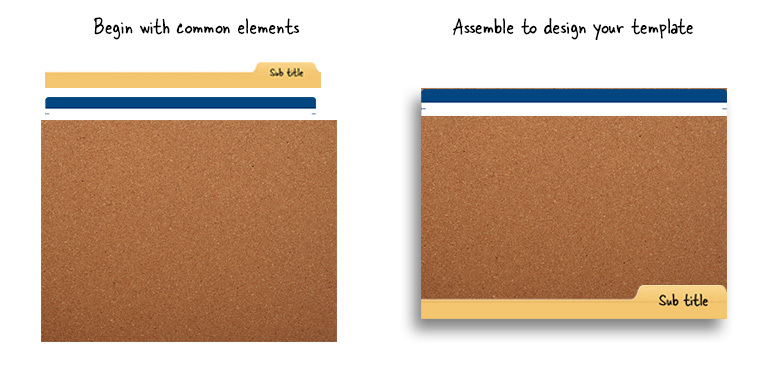 And then the drag and drop on the note cards is great! I will definitely use this in the future! Thanks. Thank you everyone for the kind comments! Dang that was cute, Magdalena! Beautiful use of images, animation, and whatever you did to get the projection screen to do that. Did you create your own images? So nice. I wasn't sure what a "beamer" was - (in the US we tend to say "projector") - but that wasn't a barrier to understanding and enjoying it. Congrats on (what I assume is) your very first challenge! Thank you Jackie ! Yes, these are my images, some of them just Storyline shapes, some are created in Adobe Illustrator. A "beamer" haha...:D I didn't know you call it 'projector':) Thanks ! Magdalena, I loved the graphics and the animations. Like Jackie, I wasn't aware of what a beamer was. I thought it was a fancy car! Wow, Magdalena this is absolutely AMAZING! Ecco all comments, just beautiful! You are SUPAH creative Magdalena, this definitely rocks. I loved everything and your intro animations were superb. I'm guessing you use a donut shape for the ring to drag the screen down, just be aware that hover effects on donuts only work on the outer ring (not the center). It's an easy fix, try using a circle shape with no fill and set the outline to the desired color; that should do it. This is so creative! I was enjoying watching the animation on the intro screen when I realized that the course hadn't even started yet. Great idea for a variety of ways to bring in different elements of a course. Great creativity! Hi Magdalena, I really like your project and I am amazed with your drawings. The're so cute! It is very creative and inspiring! Beautiful Nancy. Emily would be proud! Thanks ladies. I think I published for AMP so will have to redo it when I get back to my PC. The Workbook Is all JS so won't run on the Articulate Mobile Player. Very creative and effective nice job Nancy!